Fast ForWord Reading Level 1 builds critical early reading skills, with an emphasis on phonemic awareness, early decoding skills, vocabulary knowledge and skills, and motivation for reading. The primary goal is to develop reading fluency. Fast ForWord Reading Level 1 consists of six exercises. 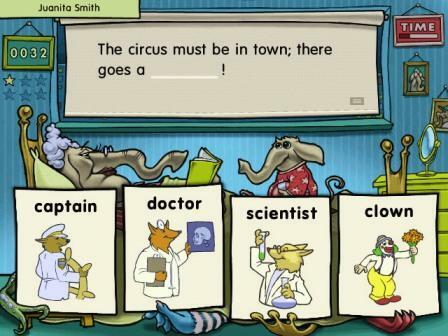 The exercise requires participants to complete sentences with missing words, letters, or punctuation. It builds vocabulary skills, knowledge of punctuation and capitalization rules, working memory, and awareness of sentence structure. As participants gain mastery, sentence length increases and reading supports are reduced. 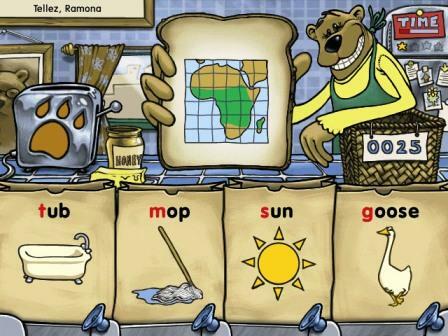 Bear Bags builds phonemic awareness, phonics, and decoding of one-syllable words. Participants must distinguish initial, medial, and final sounds in single-syllable words and distinguish long- and short-vowel sounds in orally stated single-syllable words. Passages and questions are always presented aurally, as well as in written form, and the answer choices are presented as pictures. 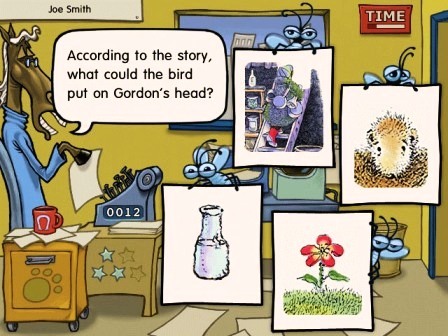 Buzz Fly works on passage comprehension, working memory, and answering multiple choice questions. No independent reading is required. 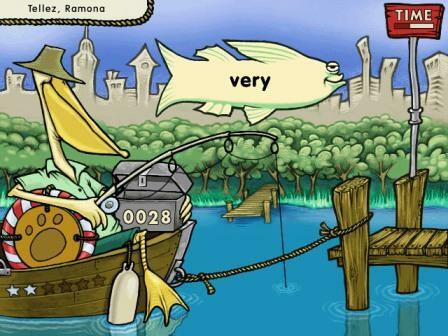 With the help of a fishing pelican, students catch the word that matches the target word. This exercise uses high frequency and sight words. 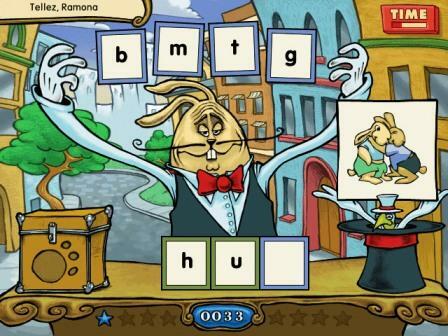 Students build spelling skills and sensitivity to letter-sound correspondences by helping the rabbit magician change one word into another, and choosing the correct letter to spell the word. The postman delivers words that are presented in text and are spoken. Students identify the correct letter box for the postman from the categories shown. The exercises build vocabulary and explore different conceptual relationships. Prior to Fast ForWord Reading Level 1, younger students may have completed Fast ForWord Language to Reading v2. After Reading Level 1, some students will move to Fast ForWord Reading Level 2.